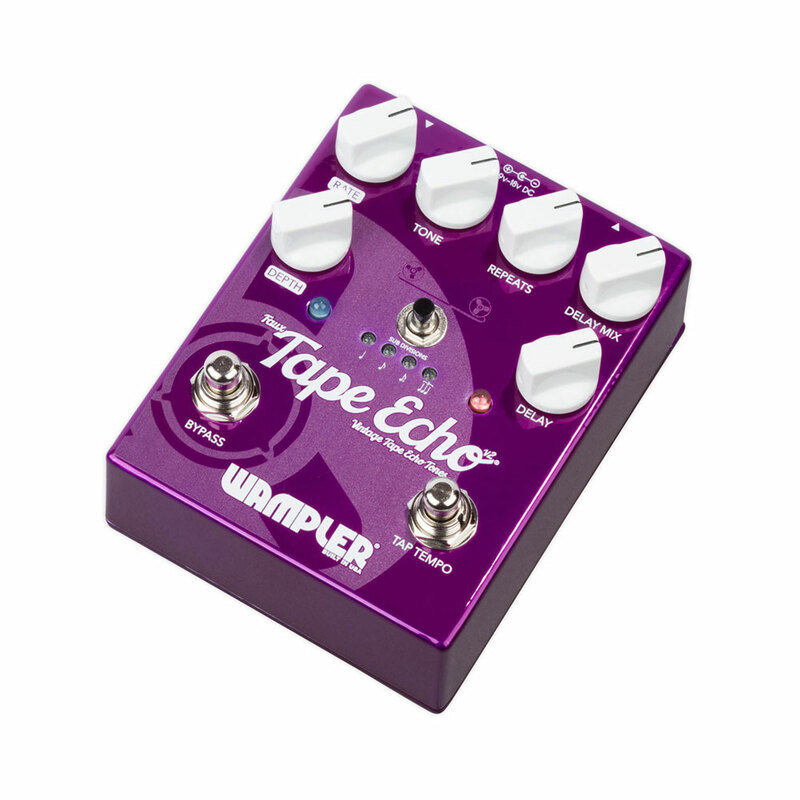 The Wampler Faux Tape Echo v2 brings you everything you want from a standard delay pedal in the ultimate gig friendly package. Based on the hugely popular best seller of the previous models, the v2 offers the same purity of signal path and depth of tone on the repeats with the addition of sub divisions on the tap tempo. 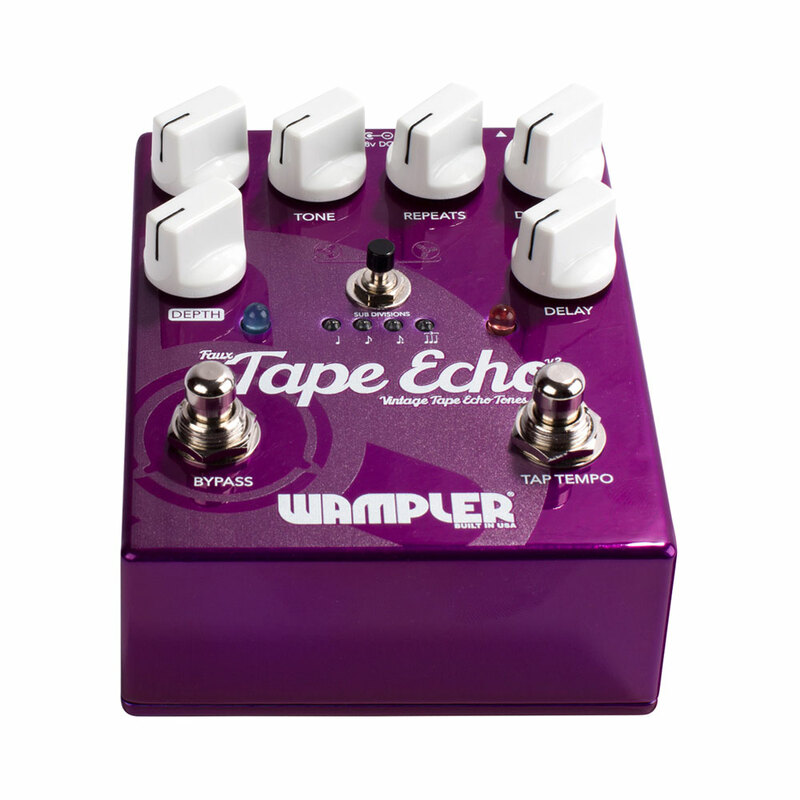 With this you can now have your delays come at 1/4, 1/8, dotted 1/8 and triplet based on your tap tempo, with up to 800 ms of delay time available (very slight echo deterioration is apparent after about 600 ms). 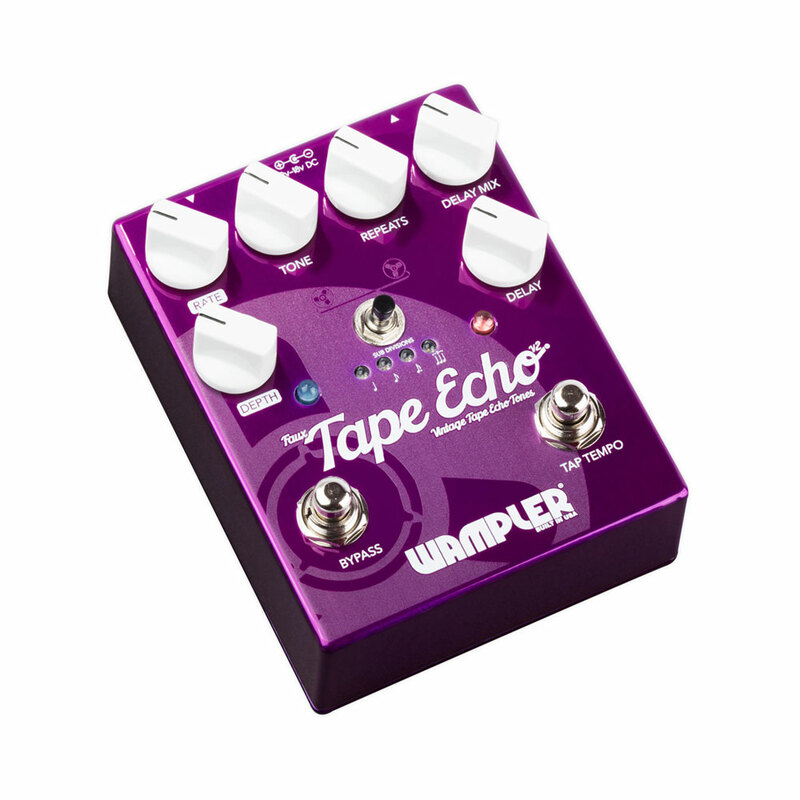 With a hybrid design (completely pure analog dry path with the digital delay layered on top) approach, you get the best of both worlds, you get the note clarity, much lower noise, and longer delay times from digital delays, but you also get the lovely warmth and little exquisite touches that are usually reserved for analogue delays. 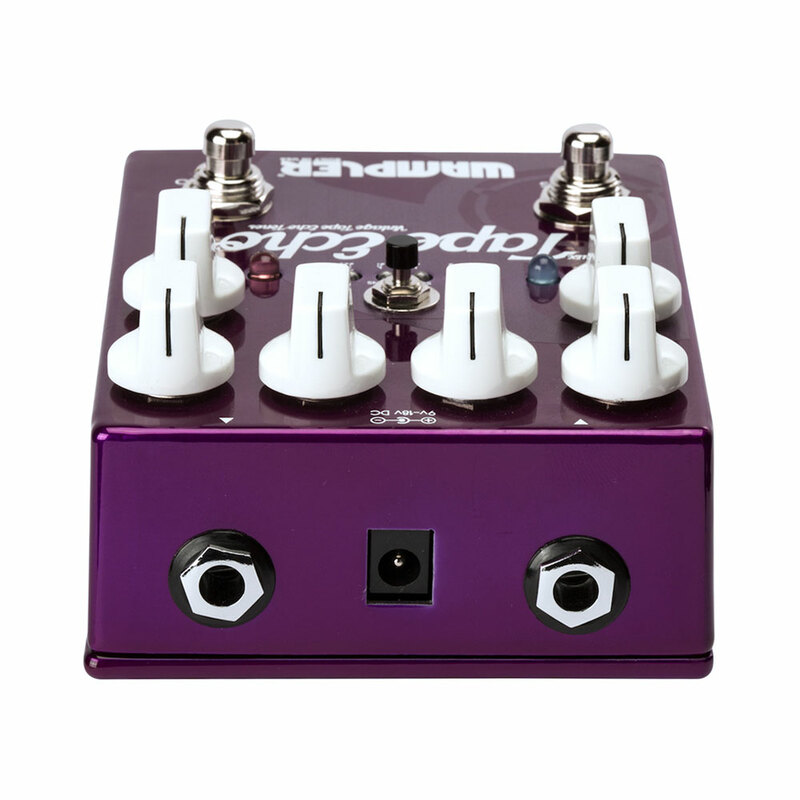 Nearly every part of the pedal is analogue, the delay line is the only digital part of the signal path (it alone being digital brings clarity and focus to the task in a way that analogue delay line chips can’t really match), everything else (all the absolutely vital filtering to carefully finish the sound) is pure analogue. 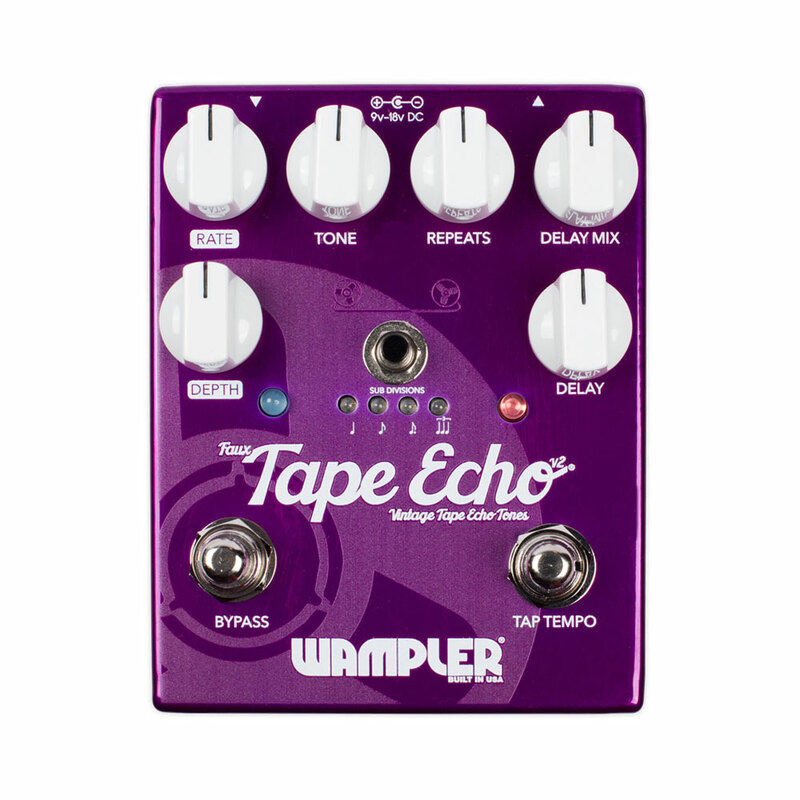 From country slap-back to ambient washes to straight ahead rock and metal delay, the hybrid approach lets Wampler make one pedal that can do it all while retaining their known emulation of the elusive and beautiful character that people look for in classic tape echo units, without all the maintenance, supplies, and hassle.